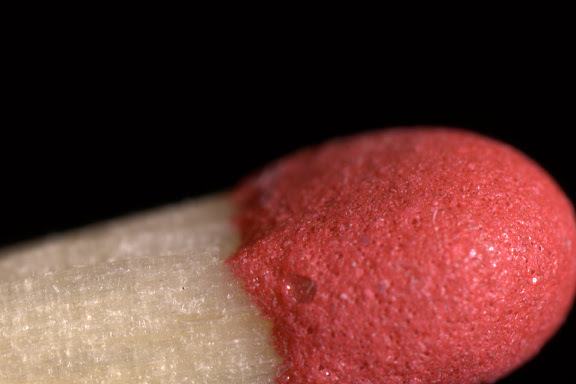 The first "friction match" was invented by English chemist John Walker in 1826. These first matches were sold as lucifer matches. Lucifers reportedly could ignite explosively, sometimes throwing sparks at a considerable distance. In the Netherlands matches are still called lucifers. Canon Rebel XTi, 1/3 sec @ f/8.0, ISO 200, 65mm MP-E macro mounted on a tripod.